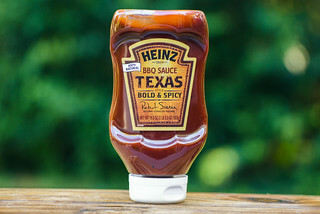 Barbecue sauce goes green in this unique specimen coming out of Charleston, by way of Austin. Lewis Barbecue was on my radar when I first moved to Durham two and a half years ago. I was already familiar with Pitmaster John Lewis from his time spent as the man behind the scenes at both Franklin and La Barbecue in Austin. John ended up in Austin after first growing up in El Paso, Texas, then beginning to hone his smoked meat craft in competitions in Denver, Colorado. After moving back to Texas, he became influential in shaping the direction of Austin's barbecue, both by way of the food he was cooking and the custom smokers he constructed. In 2015, John said goodbye to the Lone Start state and moved to Charleston, working on his own restaurant while doing pop-ups and some festivals along the way. 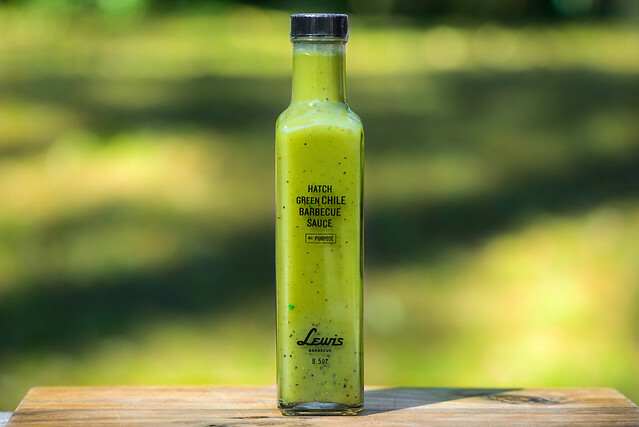 About one year after his move, Lewis Barbecue opened its doors in June of 2016 and he has been slinging his Texas-style 'cue there since then, which includes some of John Lewis' more unique creations, like this Hatch Green Chili Barbecue Sauce. 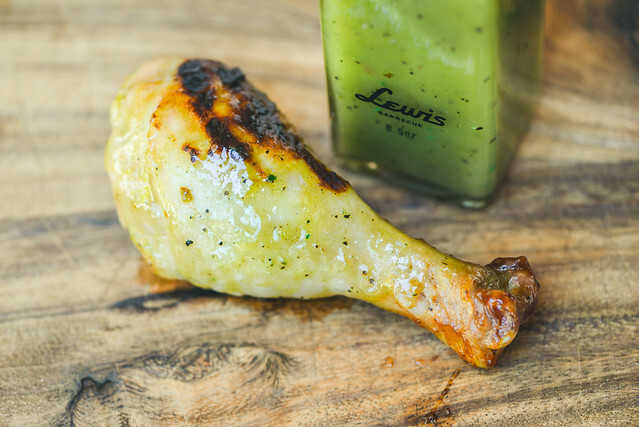 A very bright, fruity, tangy, and peppery aroma greets you on first whiff of this sauce. There's no mistaking the green chilies that form the base, which mix equally with a vinegar tartness. There's only a slight hint of heat in the aroma—the sauce is more defined by its sweetness than spiciness. Part of the bright character seems to also come from a lime acidity that's a bit masked by the more dominant vinegar. You can equate the appearance of this sauce with a slightly thicker NC vinegar sauce, if it were green. 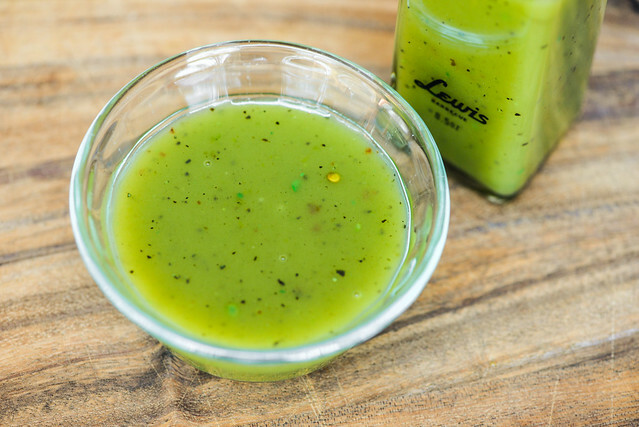 The color certainly stands out as the defining characteristic to a sauce that's slightly glossy and semi-opaque, making it easy to see a lot of spices in black, red, white, and green. The sauce has a medium-thin, watery consistency and falls in a very fast, continuous pour off of a suspended spoon. A few quick drips release at the end, and only a thin coating of sauce is left clinging to the silverware. The first taste of this sauce has a medium sweetness with a bit of molasses and vinegar mixed in. 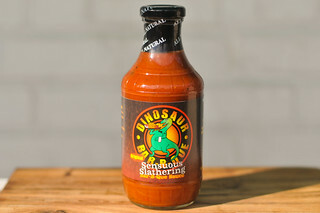 As the sauce settles on the tongue, there's an interesting mix of flavors that starts with the fruity peppers, then includes a bright lime acidity and a meatiness that gives the sauce a very savory quality. The longer the sauce sits in the mouth, the more the vinegar tang increases and a quickly fading taste of garlic also makes itself known. Then there's just a slight bit of heat at the end, which is balanced by the still present sugar and vinegar. This sauce coated the chicken in a thin, even layer that baked down well and picked up some light caramelization over indirect heat. When moved over the coals, the sauce browned even further, but never burned, nor suffered any burn off. The flavor overall was very light and understated, most notable was the mellow sweetness the chicken had. After a few more bites, that fruity pepper and tangy mix of lime and vinegar made its way in, but in a less pronounced manner than out of the jar. I was super excited to get down to Charleston and try out Lewis Barbecue recently, and was pumped that I could bring some sauces back home as well. The green chili sauce was certainly the most eye catching, and the flavor also didn't disappoint. While the hatch chilis certainly give this sauce its unique base, what I found even more notable was the heightened savoriness, which seems to come from a mix of chicken fat and bouillon. Overall, the flavor is lighter and more delicate than the average barbecue sauce, and in the restaurant it paired best with the smoked turkey—its subtleties were lost on hearty brisket. It's also a sauce that, while it grilled just fine, lost flavor with the introduction of heat, so I'd leave it for uses out of the jar, which I think go beyond smoked meats and could make a great dip various appetizers and sides as well. What a bright, and appealing looking sauce! Looks very good. Do they have this for sale online? I will probably never get to taste this given where I live (WA state), but it sounds very intriguing. 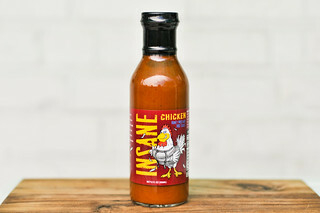 On a scale of 1-10, where would you put this sauce heat-wise? @Michael Right now it's only available in the restaurant, as far as I know. @Peg: I'd give it a 4 on the heat scale, not really all that spicy. @Michael Looking for it myself, I found an article that says if you call the restaurant directly they will ship it to you. (843) 805-9500. Hope this helps.